Theres an African proverb that says, If you want to go quickly, go alone. If you want to go fast, go together. Whether its events like Workation in Lanark every June, or the Pecatonica River Clean Up at the end of this month, there are good things happening throughout Northern Illinois. With summer in full swing, it is important to continue recognizing and celebrating our communities achievements, successes, and contributions. I had the unique opportunity to attend two events in Northern Illinois this past week that I would like to share. The first event, was an Open House for National Park Service representatives of the U.S Department of Interior and was hosted by Galena City Beautiful and The Chicago Athenaeum Museum of Architecture and Design in Galena, Illinois. 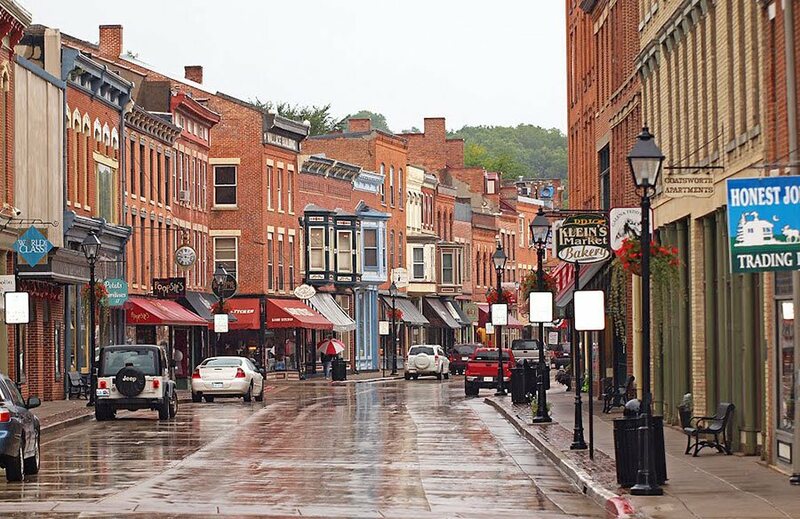 The National Park Service was doing a site visit and is considering designating the City of Galena as a National Historic Landmark. When talking about the opportunity, Museum Vice President Kieran Conlon stated, The City of Galena certainly fits these criteria because of our citys importance in the early growth of the United States the development of the Upper Mississippi River Valley and for the one-of-a-kind collection of superior landmark buildings in the country. There are currently 87 National Historic Landmarks in Illinois including Chicagos Adler Planetarium, and the Shedd Aquarium, Abraham Lincolns home in Springfield, Starved Rock in LaSalle County, and the John Deere Home and Shop in Grand Detour. Rock Island is the site of the Rock Island Arsenal, which served as the site of a Union prison during the Civil War. And of course, Galena is home to the only National Historic Landmark in the 89th Legislative District, the Ulysses S. Grant home. Conlon said, As a National Historic Landmark, the designation would position Galena on an equal national par with The Historic Districts of Charleston, South Carolina, Savannah, Georgia, Williamsburg, Virginia - for sure, other important American Landmark Cities (and) will have significant economic and prestige impact on our community and on our developing tourist industry. Rose Noble, President and CEO of Greater Galena Marketing Inc., agrees with Conlon that National Historic Landmark status for Galena will have a major impact. She has said, This would be a great recognition for Galena and Illinois travel impacts many jobs in Jo Daviess County, and this recognition has potential to draw significant visitors to our area. 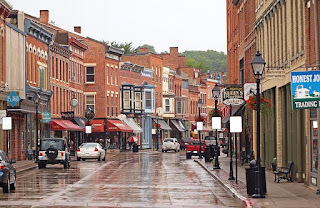 We also know every traveler who visits Galena, comes back on average 3 times! This is great news for Galena and Northwestern Illinois. It was my privilege to attend the Open House, share in the excitement, and offer my support. After leaving Galena, I traveled down US Route 20 to The Rafters in Lena, Illinois where the Northwest Illinois F-4 Jet Memorial Committee hosted a fundraiser to bring an F-4 Phantom fighter jet to Lenas Northwest Illinois Aerial Combat Memorial. Committee Chairman, Terry Yount, said the project started with discussion between friends on Facebook, one of whom was a former Air Force mechanic. The gentleman was lamenting how one of the F-4 Phantoms he had been responsible for had been shot down for target practice. The F-4 Phantom was built by McDonnell Douglas and is considered one of the most important military aircraft in our nations history. A supersonic jet fighter, it first took flight in 1958 and set 16 world records, including speed (mach 2.6) and altitude. Because of its superior performance, the F-4 was flown by the Air Force, Navy, and the Marines. 5,195 Phantoms were built from 1958 to 1981, making the F-4 Phantom the most produced American supersonic military aircraft. After entering service, the F-4 was used for missions in Southeast Asia, and has been flown in combat by the Air Force as recently as the first Gulf War. Some may remember the jet from the 1979 classic film, The Great Santini, starring Robert Duvall in the title role. The Committee has been awarded an F-4 Phantom for the Memorial, and it is the last remaining plane the former Air Force mechanic worked on. Land has also been donated, and the Memorial will sit across the street from the American Legion Hall in Lena. The F-4 Phantom II Display will memorialize all the brave Americans who risked their lives, and in some cases died, defending their country in aerial combat in hostile skies around the globe, and the ground crews who worked tirelessly to keep them flying. The fundraising effort is divided into three phases. For Phase 1, the Committee hopes to raise $80,000 for the disassembly, transport, reassembly, delivery to and placement of the F-4 at the Memorial site. In Phase 2, the Committee plans to raise $50,000 to develop the land, build the pylon for the jet, and construct the Memorial. And Phase 3 will include raising $20,000 plus any additional funds needed for ongoing maintenance and upkeep. You can learn more about the Committee and the Memorial on their Facebook Page, or contact Terry Yount (tdyltc46@yahoo.com), Bing Wells (abwells@msn.com), Dennis Bergman (president@villageoflena.com) for more information. What began as a Facebook conversation between friends has become a movement that will culminate in an impressive monument. Just like the recently dedicated Captain Abraham Lincoln Sculpture by Jay Castro at Kelloggs Grove in nearby Kent. Change is made by people who show up. We can make a difference in our cities and towns, in our churches and schools. Even when it feels like were trying to hold back the tide with a flyswatter and a butterfly net, we can make a difference. Dont give up. Sally will be out of the office on Monday. If you have any additional thoughts or ideas, you can reach me 815-232-0774, or visit my website at www.repbrianstewart.comand use the form to send me an e-mail.